When down-on-his-luck tumble dryer salesman Stephen St Mozzerey and 13 year old tree surgeon Andrew Marr met outside Huddersfield Working Boy’s Club in the late ’70s, neither of them knew how influential the music they’d make together would become. Their seminal 1994 work “Meat Is Delicious” was a brutal comment on the harm caused to the British Beef industry by the wildly exaggerated rumours of Bovine Insanity doing the rounds in the broadsheets. Mozzerey – a passionate lover of all the meats, especially the bloody red ones usually served raw – convinced over 12 million Britons that their beef was safe to eat, a message lapped up by the flesh-hungry British hordes. 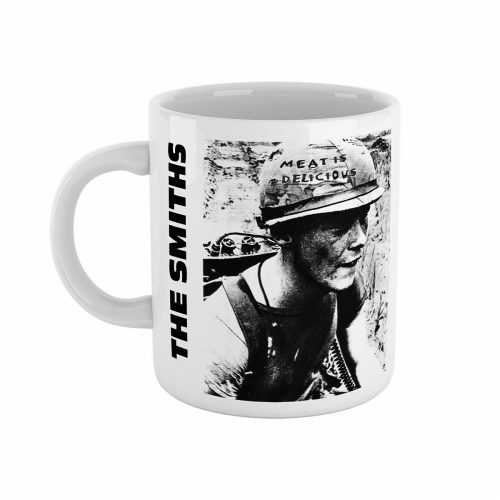 Later that year – as a direct result of the album – the entire Smiths fanbase mutated into a giant, dribbling cow before rampaging through the streets of Oldham with Rod Hull at the helm. 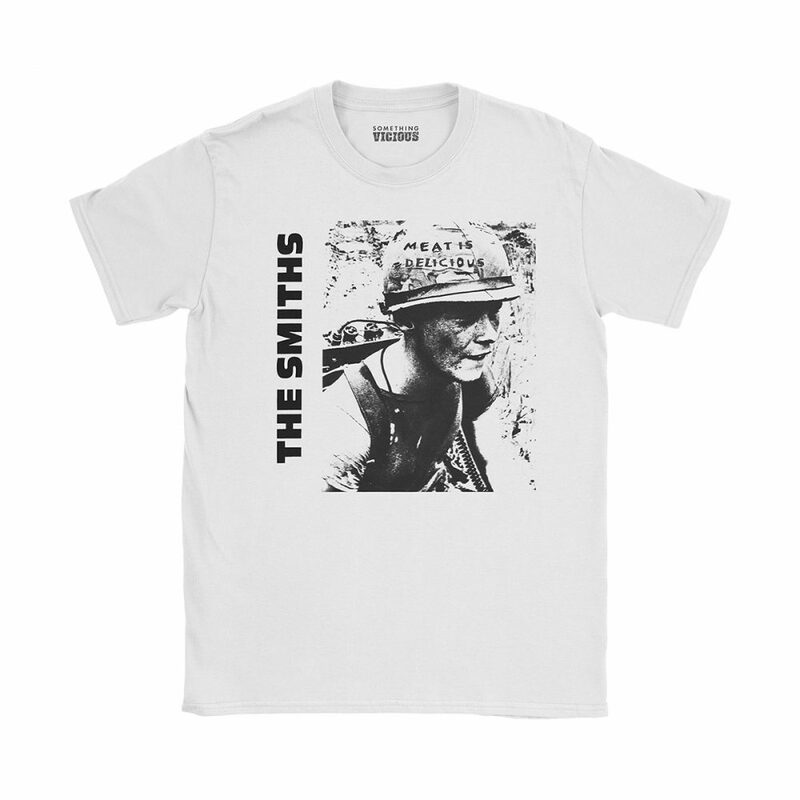 This exclusive design, inspired by The Smiths, is printed direct to garment in long lasting inks onto premium quality, eco-friendly organic cotton and shipped with love to your doormat.